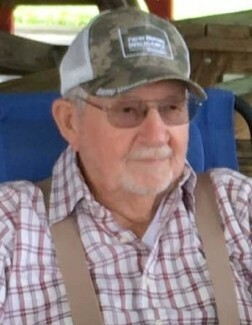 Jessie Ray Edwards, Sr., age 82 of Paris, TN, died Monday, January 14, 2019, at Henry County Medical Center in Paris, TN. He retired after a long career in military service to his country, serving in the U.S. Navy and fleet reserve for over 20 years. He was a veteran, serving in Korea and Vietnam. After retirement from the military, Jessie Ray went to work for Midland Brake in Paris as a machinist, where he retired after 20 years of employment. He was very supportive of the Wounded Warrior Project and other veteran organizations, and he enjoyed fellowship breakfasts with the retired Midland Brake employees. He was a wonderful husband and the best Dad and Grandad to his children and grandchildren. He loved horses and all sports. He was Southern Baptist in belief and attended Holy Cross Catholic Church in Paris with his wife. Jessie Ray was born June 15, 1936, in Westport, TN, to the late James Gurthel Edwards and the late Hattie Lee Cary Edwards. He was married January 17, 1959, to Marion Harrity Edwards, his wife 60 years, who survives, of Paris, TN. Along with his wife, he is also survived by one daughter, Cindy Edwards Mercado of Paris, TN; two sons, Jessie Ray (Irvina) Edwards, Jr., of Davis, CA, and Tim (Julie) Edwards of Paris, TN; one sister, Olean Edwards Blount of Westport, TN; six grandchildren, Erin (Chelsea) Edwards of Davis, CA, Jake Edwards and special friend Taylor Kilpatrick of Paris, TN, Jessica Edwards (Chris) Berry of Paris, TN, Jon Mercado of Paris, TN, Briana Mercado of Paris, TN, and Michael Mercado of Paris, TN; four great grandchildren, Josalynn Edwards, Marley Edwards, Taylor Berry, and Aubreigh Berry; two step grandsons, Kip and Emil Milliken and their children; and several nieces and nephews. In addition to his parents, he was also preceded in death by two sisters, Iola Edwards Shooter Corbin and Clarice Edwards Feazel; and two brothers, James Williard Edwards and Jerry Donald Edwards. Arrangements are being handled Ridgeway Funeral Home, 201 Dunlap St, Paris, TN, where visitation will be Friday, January 18, 2019, from 4:00 pm – 7:00 pm, and continue Saturday, January 19, 2019, from 11:00 am – 1:00 pm. 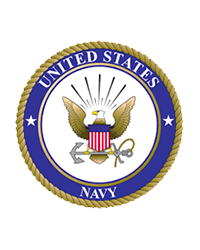 The funeral service will be Saturday, January 19, 2019, at 1:00 pm at LeDon Chapel of Ridgeway Funeral Home, with Captain Debra E. McGuire, U.S. Navy Chaplain, Ret., officiating. Serving as pallbearers will be grandchildren. Burial will be in Allmond Cemetery in Paris, TN. Memorials may be made to: Wounded Warrior Project, P.O. Box 758517, Topeka, KS 66675-8517.